At the World Championships in New Zealand all of Canada 1 team used HWP barrels and finished 5th overall in the World in the 2-Gun Championship. Hugh Williamson was 6th in the World in the individual results. Rick Pollock was 2nd in the Sporter 100 at the NBRSA National Championships with a .1670" Aggregate. Hugh Williamson was 1st in the HV Grand Aggegate at the NBRSA National Championships with a .1798" Grand Aggregate. Earning 2 Hall of Fame Points for this! Hugh Williamson was 2nd in the 3-Gun at the NBRSA Nationals with a .2073" Aggregate, missing first place in the 3 Gun by only .007"! Hugh Williamson was 1st in the HV 100 at the IBS Nationals with .1732" Aggregate. Earning a Hall of Fame Point for this. 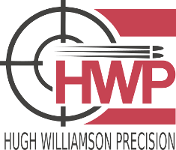 Hugh Williamson, Rob Seemann, and Rick Pollock took the top 3 places at the BRSC National Championships this year using HWP barrels. congratulations on some great shooting guys! good to see another local manufacturer of quality barrels in our backyard, we are lucky in canada. Way to go Peter, that is some awesome shooting. Tell us a little about your equipment, bullets, barrel etc. To answer your question, Dan - I have 4 rifles, 3 LV and 1 HV. All are Bat DS actions, R/R/R configuration, Bix N' Andy triggers, Scoville stocks, bedded and glued by Dwight Scott. The barrels on my HV and my "go to" LV are HWP barrels with Bukys tuners. For several years now I have shot Bill Mitchell's bullets exclusively and my chambering /gunsmithing is done by Randy Johansen, my friend and shooting partner. The magic lies with the barrels, bullets and the gunsmithing, not the components. It was a pleasure shooting with all you guys at the Nationals and I am looking forward to seeing you next summer in Calgary. Curious about the twist and grooves? Cut or button? The barrels I use are Hugh's cut rifled, 13 1/2 twist. I have shot lots of 14 twist barrels from Rob MacLennan in the past and I shot Rob's 13 1/2 twist barrels in recent years as well. I think I have shot a little better with Rob's and now Hugh's 13 1/2 twist barrels. I can't say 13 1/2 twist is definitively better. I'm a little thick headed so maybe I'm finally learning to shoot this game a bit better. As noted above, I use cut rifled barrels. They are 4 groove. Peter also set 3 records for WWCCA. HV 100y Peter Smith .1046 Oct 7 2018. HV AGG Peter Smith .1435 Oct 7 2018. 2 GUN Peter Smith .1666, Oct 7 2018.